Bloomberg has an article on the top end of the e-bike market - Inspired by Tesla, This $10,000 E-Bike Is for Daredevils in Disguise. Inspired by Tesla, the Swiss bicycle entrepreneur Thomas Binggeli founded Stromer in 2008 as a way to tackle problems like traffic congestion, health, and sustainability, so I took the latest version for a ride in the City of Angels to test whether a post-car future is actually in our future. Sales of e-bikes have been booming in the last decade, with double digit growth in 2015. 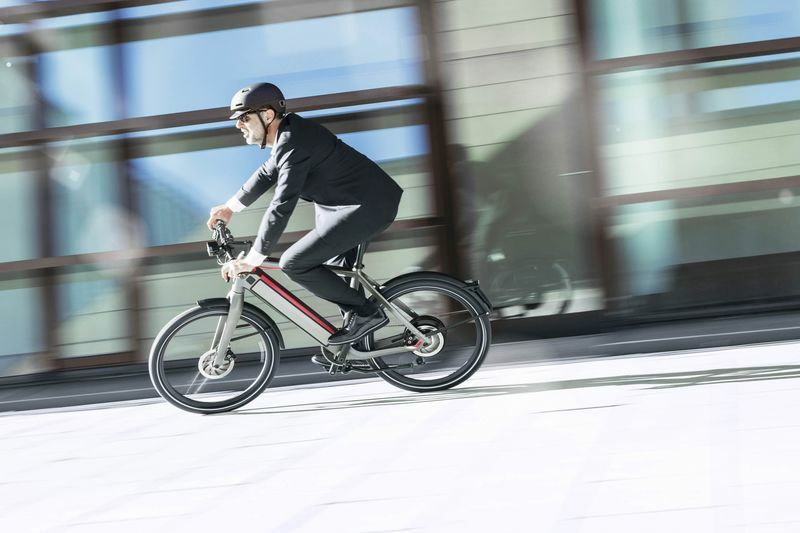 A recent Navigant Research study estimates that by 2025 the e-bike industry could see revenues of $24.3 billion, up from an estimate of $15.7 billion in 2016. Part of that boom is powered by lower-cost technology. As opposed to electric scooters or motorcycles, an e-bike requires some amount of pedaling, so longer commutes provide a light workout. And you don’t need a separate license to operate it. An entry-level e-bike will run about $500, but at $9,999, the ST2 S I’m riding is the most expensive on the road.